anyone, with no technical knowledge required. V3.0 - New Release Aug 2014! 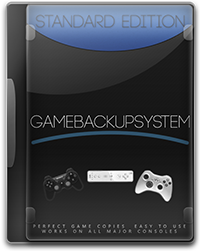 You just need to download GameBackupSystem, install and then copy all the games you want. We've focused on making the process as easy as possible, meaning that anyone can use it, even if you know nothing about computers. You get a 90 day guarantee with every download.